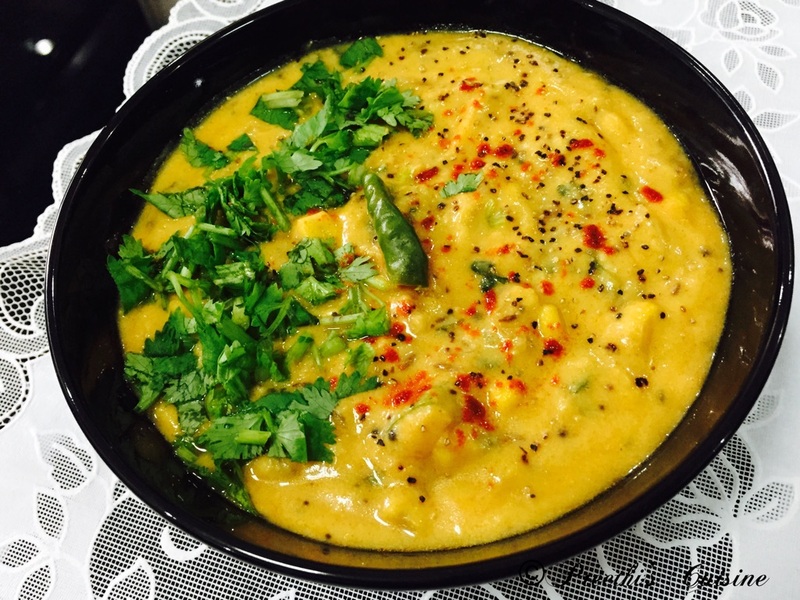 Kadhi is one of my favorite dish. 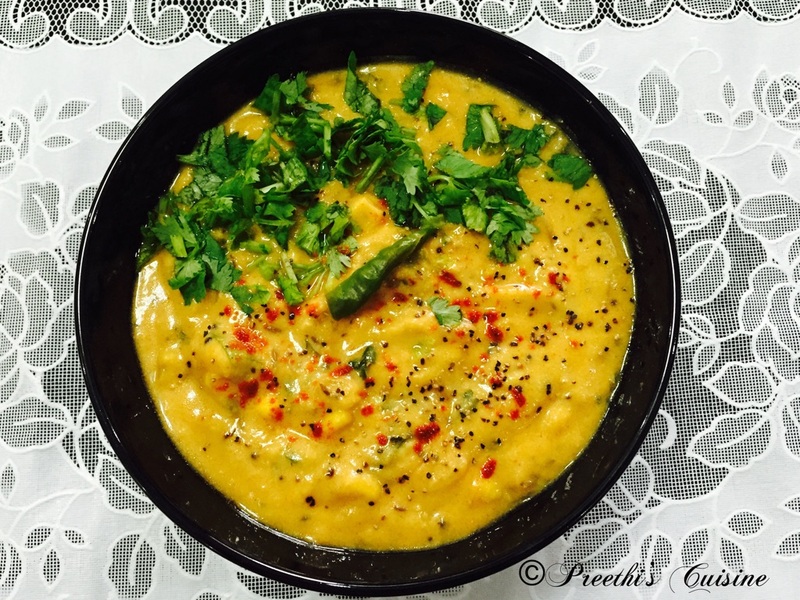 My Mom used to make Kadhi without using Besan or Gram Flour. I always used to have it with steaming hot rice and Ghee. Absolute Bliss!! I miss those days now. 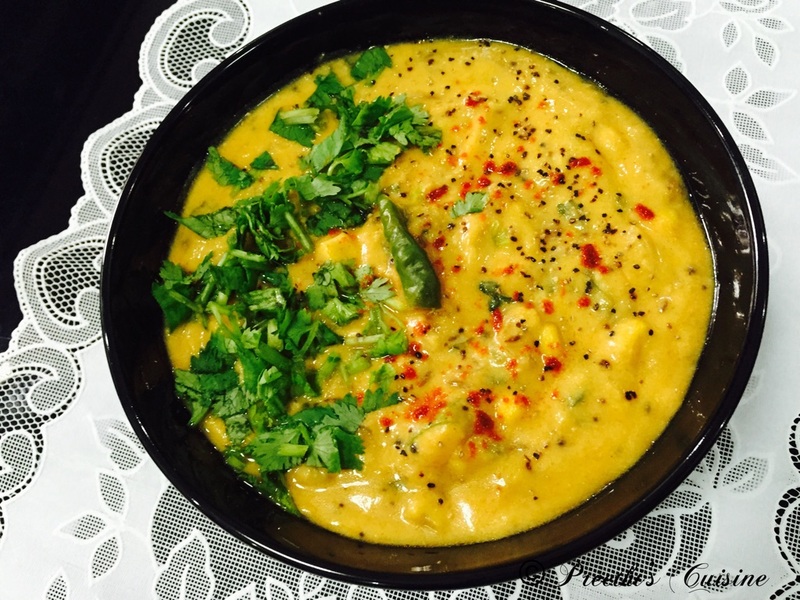 I make different types of Kadhi and here is a variation to the normal Onion Kadhi. Absolute comfort food that make me drool any time of the day. I love simple food that is easy to cook ,yummy and healthy at the same time. We should enjoy these simple pleasure in life. Method: Mix Besan / Gram flour and curd and ensure there are no lumps. Heat 2 tsp oil in a wok. Add jeera, hing, haldi, methi seeds, Green chillies and chilli powder. Add the chopped onions and roast till they turn brown. Once the onions are done add the corn kernels and capsicum. Roast for 5 mins. Add the besan mixture and Keep stirring till it blends well with the veggies and the raw besan smell is gone .Add water and salt to taste.If you are eating immediately add less water. The gravy becomes thick later on.Let it boil for 5 mins. Switch off the stove. Garnish with Pepper powder and Coriander and serve hot with Rice and Ghee or Phulkas.